Updated Wednesday December 16, 2015 by Leopard Lacrosse. The Lovejoy Leopards Lacrosse program recognizes the importance of a sense of community and family among those who play, coach, participate in, and follow youth lacrosse. Often times, you will hear our teams shout “family” at practices and games. The goal of the Lovejoy Leopards Lacrosse program is to maximize the opportunity for each participant to enjoy the game of lacrosse and to learn and develop individual and team skills. It is important for all who take part to be exposed to positive experiences and protected from negative ones. Our Code of Conduct applies to coaches, players, and parents in whose hands the welfare of the game, the players, and the Lovejoy Leopards Lacrosse program is placed. 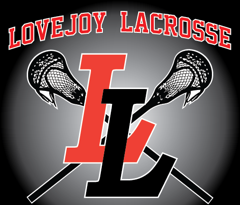 Individuals participating in Lovejoy Leopards Lacrosse assume certain responsibilities and obligations to conduct themselves in a manner that reflects positively on themselves, their team, the sport of lacrosse, and our program. The goals of our program are intended to encourage our players to succeed on and off the field through team commitment and friendships, improving skills, physical fitness, good sportsmanship, respectful behavior, and positive citizenship. All of our players’, coaches’, and parents’ conduct should foster the goals of the Lovejoy Leopards Lacrosse program. Players, coaches, and parents will not act in a way that demonstrates disrespect for the game, officials, players, coaches, or parents of the Lovejoy Leopards Lacrosse teams and those of the opposing teams. Each participant shall abide by this Code of Conduct. Failure to adhere to this Code of Conduct may result in: sanctions, or suspension or dismissal from participation in or attendance at any Lovejoy Leopards Lacrosse event, including games, practices, and team outings. The Lovejoy Leopards Lacrosse program reserves the right, in its sole discretion, to dismiss anyone from the program at any time behavior is deemed unacceptable. If any player, coach, or parent in the Lovejoy Leopards Lacrosse program believes this Code of Conduct has been violated, they have the right to, and should, report the alleged violation to any Board Member of the Lovejoy Leopards Lacrosse program. Coaches are role models, mentors, and teachers and, therefore, shall always conduct themselves with the highest principles of integrity and exemplary levels of behavior when dealing with players, parents, other coaches, officials, and other personnel involved in the game. Coaches who accept and work to the guidelines within this Code of Conduct are accepting their responsibility to the players they coach, their families, and other colleagues within the game. 1. I understand that coaches are educators. The field serves as a classroom. I understand that my primary responsibility as a coach is to provide a leadership role for promoting sportsmanship and skill development. I will encourage sportsmanship and athletic skill development in all my activities and avoid a “Win at all cost” behavior. 2. I will continually educate myself so that I am able to demonstrate a solid knowledge of the rules of lacrosse, and will adhere to the rules in both the letter and the spirit of the game. 3. I will provide a basic knowledge of the rules of lacrosse to both players, parents, and spectators within the Lovejoy Leopards Lacrosse program. I will not attempt to manipulate the rules in an effort to take unfair advantage of an opponent, or to teach deliberate unsportsmanlike conduct. 4. I understand that the safety and welfare of the players are of primary importance. I will not leave the practice or game facility until every child has been picked up. I will follow the Lovejoy Leopards Lacrosse program policies and procedures related to an injury to a player. 5. I understand that I have a responsibility to project an image of responsibility. I will never engage in profanity. I will never coach under the influence of alcohol or drugs. 6. I will never openly argue or criticize an official’s decision in front of my players. If I disagree with an official’s decision, behavior, or game outcome, I will make my sentiments known privately and use the proper process available to me. 7. I will treat my players, the opposing players, and other coaches with the respect they are due, be generous in praise when deserved and never humiliate them in front of others. 8. I will maintain open communications with players and parents regarding skill development, discipline problems, and practice and game schedules. 9. At all times, both on and off the field, I will conduct myself in a manner that reflects positively on my team, the Lovejoy Leopards Lacrosse program, and myself. 10. I will take responsibility for players at the field, arriving on time and establishing a presence among players. I will make every effort to ensure appropriate language and behavior at all times. 11. I will allow only rostered players and coaches on the field. 12. Winning is a consideration, but not the only one, nor the most important one. I will care more about the child than winning the game. I recognize that young players are involved in lacrosse for fun and enjoyment. 13. I will be a positive role model to players, display emotional maturity and be alert to the physical safety of players. 14. I will be generous with praise when it is deserved, be consistent, honest, fair, and just. I will not criticize players publicly, and I will study to learn to be a more effective communicator and coach. 15. I will adjust to personal needs and problems of players, be a good listener, never verbally or physically abuse a player or official, give all players the opportunity to improve their skills, gain confidence, and develop self-esteem. 16. I will maintain an open line of communication with my players’ parents. I will explain the goals and objectives of the season. 17. I will be concerned with the overall development of my players. I will stress good health habits and clean living. 18. I will place school and family relationships above other activities. 19. I will not post on any social media site with the intent to initiate, hurt, intimidate or humiliate any player, another coach, official, parent, program administrator, or spectator. I understand that the posting of negative, demeaning or derogatory comments will not be tolerated and that these acts shall be considered harassment and may result in the immediate removal from the Lovejoy Leopards Lacrosse program. 20. I understand and will support the Conduct Violations associated with these adherences and Code of Conduct. External links are provided for reference purposes. Lovejoy Leopards Lacrosse is not responsible for the content of external Internet sites. Copyright Lovejoy Leopards Lacrosse All rights Reserved.